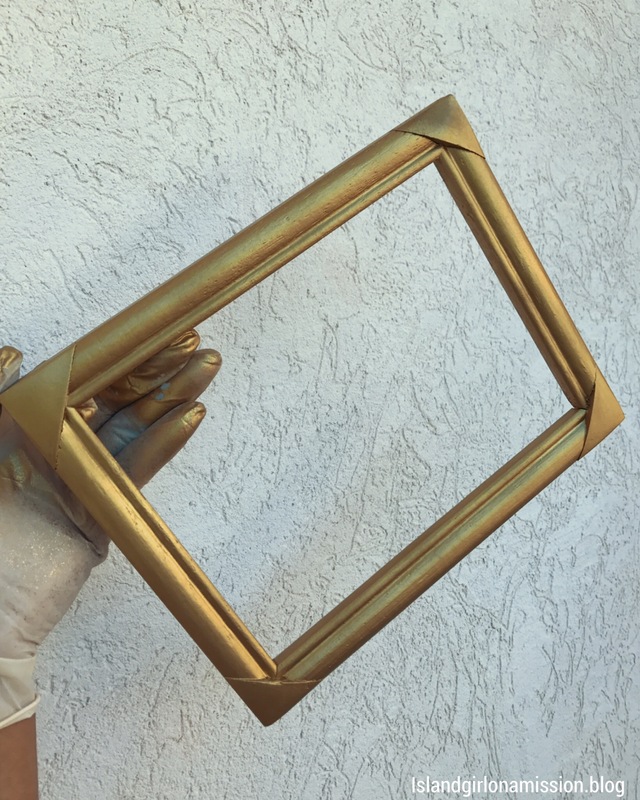 Spray frame with gold spray paint. 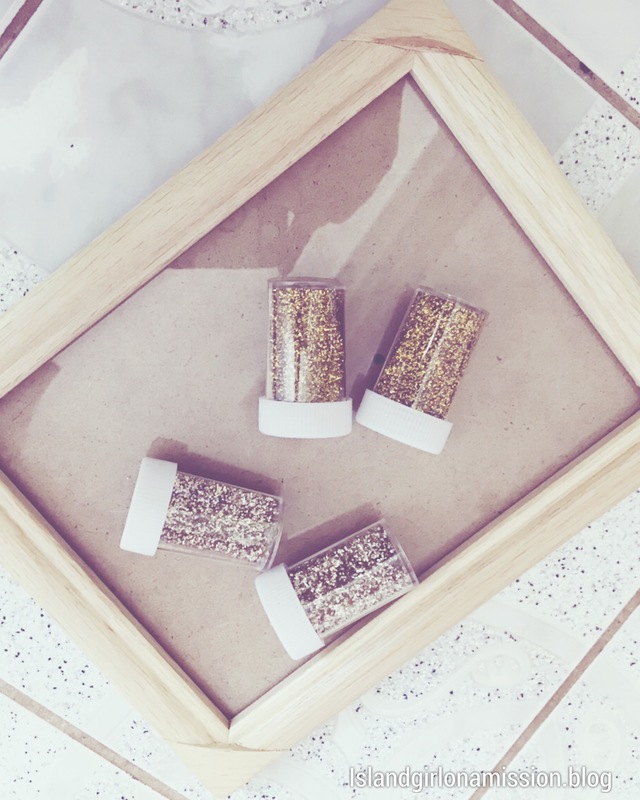 Place on sturdy surface to dry. 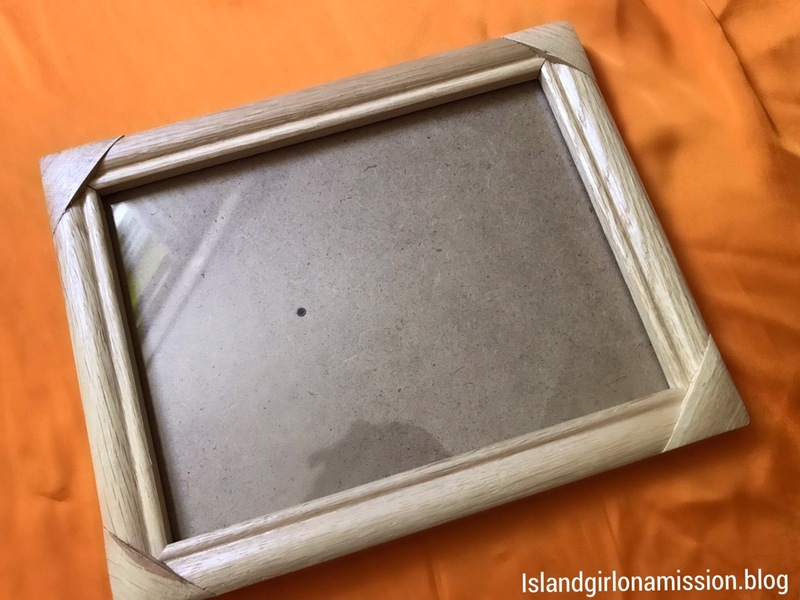 Use scissors to cut paper to desired dimensions in order to fit comfortably in the frame. 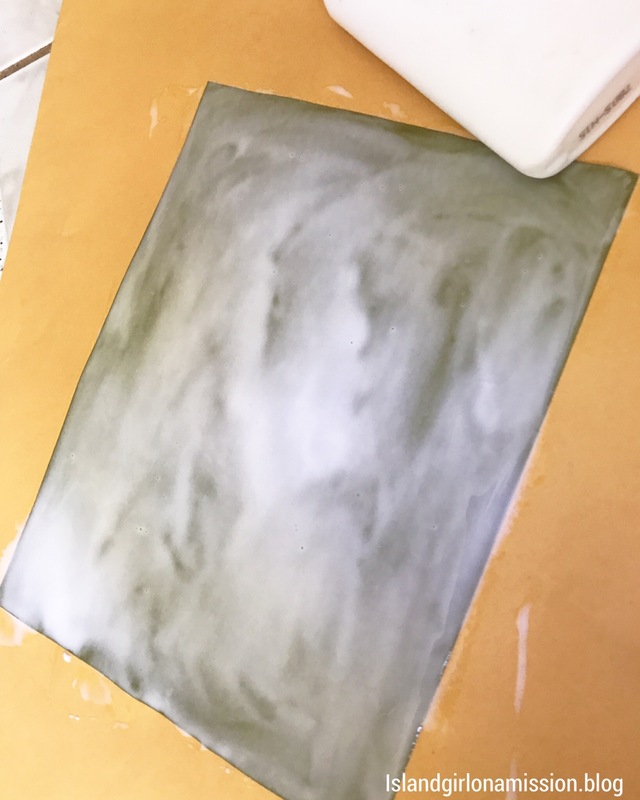 Paste on paper glue all over the surface of the paper. 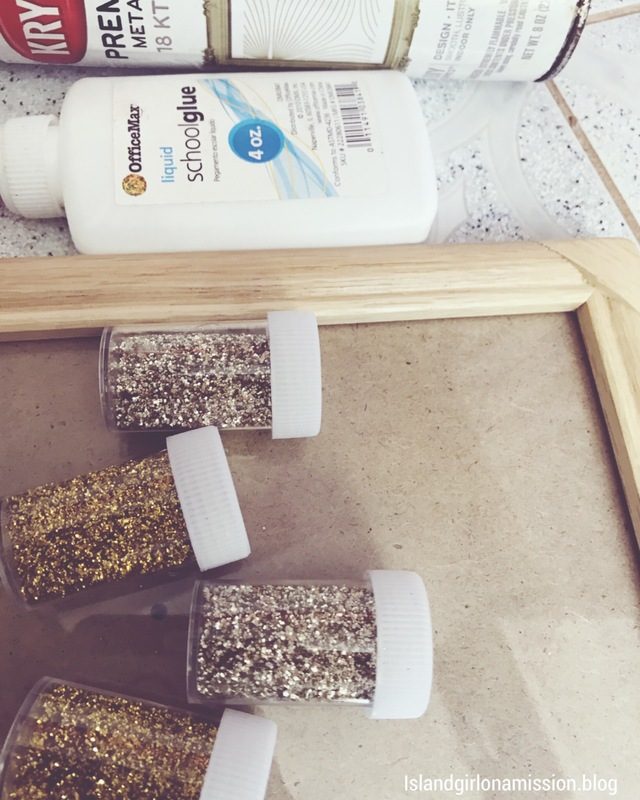 Sprinkle ample amount of glitter on to the glue. 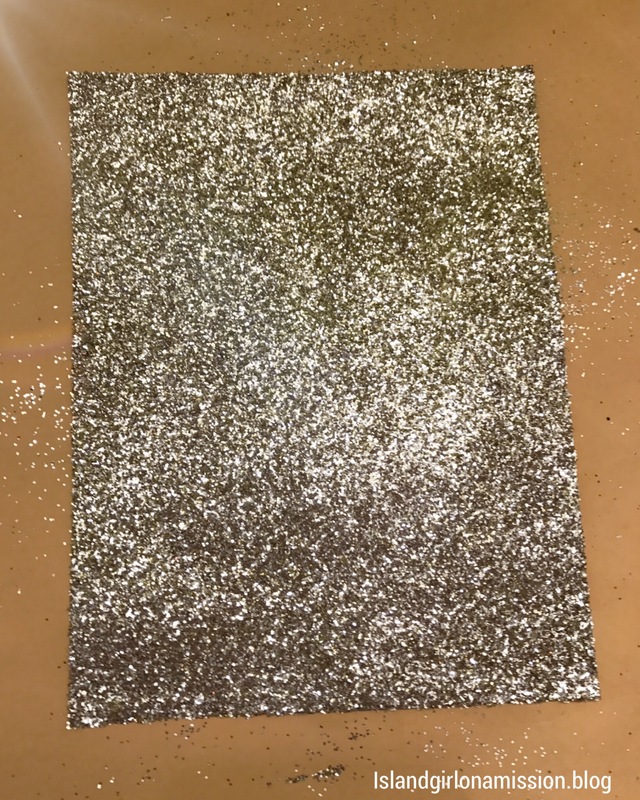 Ensure that the entire surface is covered with glitter and no parts of the paper is peeking through. 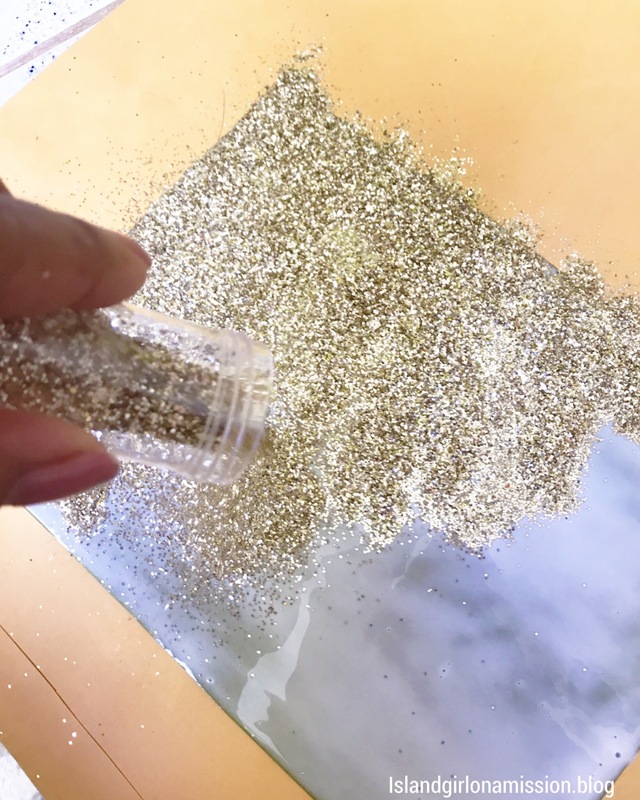 Place on a sturdy dry surface and let dry. 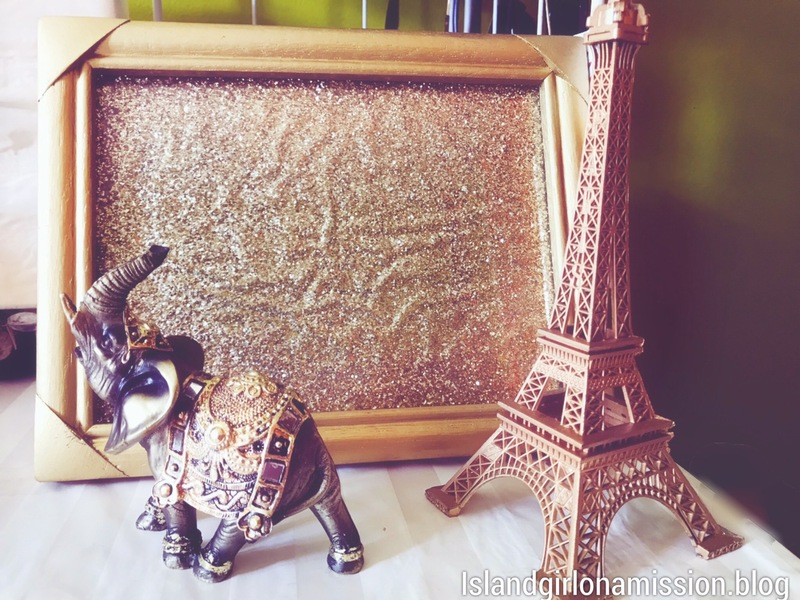 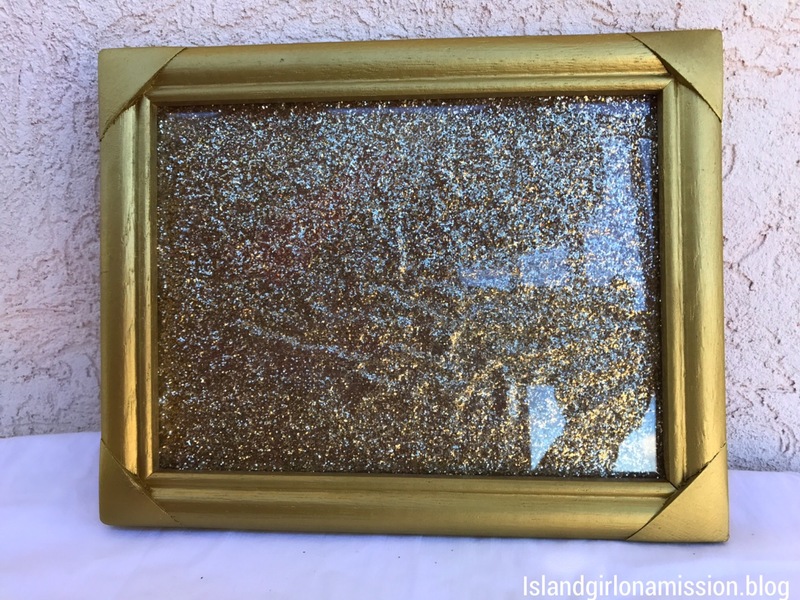 Place the glitter covered paper in the frame once they are both dried.